Amazon, the popular e-commerce site has been accused of spreading paedophilia. 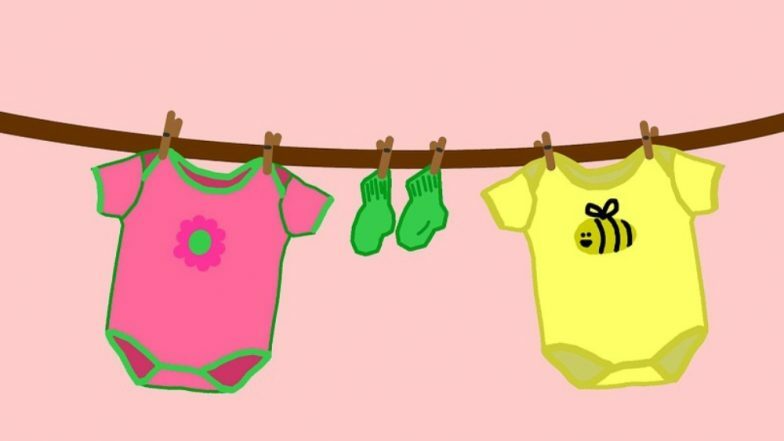 The online shopping website was selling baby clothes with 'f**k toy' written on them. Child USA CEO Professor Marci Hamilton accused Amazon of selling baby clothes that 'normalised' child sexual abuse. One of the onesies read 'daddy's little f*** toy' while the other one had 'I Just Look Illegal' written on it apparently referring the to US immigration. Sun Online quoted Marci as saying, "It is outrageous that baby clothing with this language appears anywhere on the web let alone Amazon. They should have much better controls over products for children generally." The tops were on sale on the Canadian Amazon store for CDN $18, but were since been removed after the social media outrage. As pictures of the garments went viral on social media, people demanded the boycott of Amazon. The onesies were for babies between 0-3 months and two years. UK Fashion Brand Boohoo Criticised for Selling Pyjamas With 'Obsessive Christmas Disorder' Written on It. Daily Mail quoted an Amazon spokesperson as saying, "All marketplace sellers must follow our selling guidelines and those who don’t will be subject to action including potential removal of their account. The products in question are no longer available." They were for sale from a Canadian store called Vanber, which also advertises adult T-shirts with similar 'humorous' slogans on. Marci added saying, "It is shocking, and I'm surprised it is there in the first place. I had assumed that Amazon had to clear products before they are put online. It clearly should have been ringing alarm bells — but it went online."